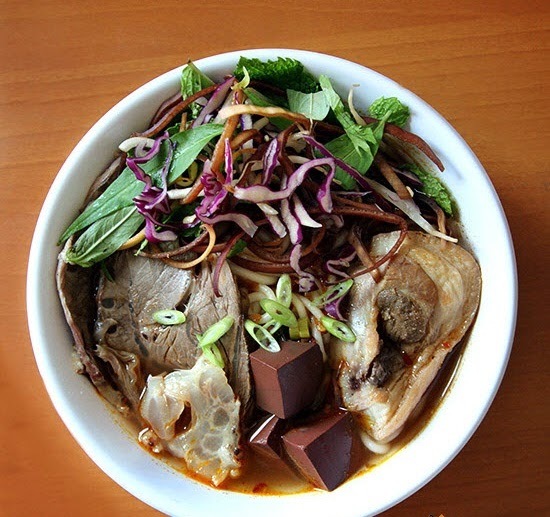 Bun Bo Hue is one of popular Vietnamese Food recipes which containing rice noodle and beef. In Vietnamese Food, there is a dish that has spread over all parts of the country as food derived from Bun. In each regions, noodle prepared according to the taste and become the specialty of each region. For a long time, Ho Chi Minh people are familiar with the presence of this delicious food in their food list. And it would not be surprised to say that foreign tourists are also eager to find traditional dishes with an endless passion. This food is from the middle Vietnam - Hue, a former capital of Vietnam associated with the cooking style of the former royal court. 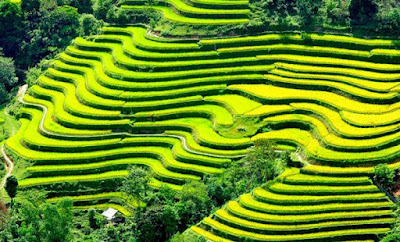 This region also has many other delicious recipes Vietnamese Food recipes for many people. 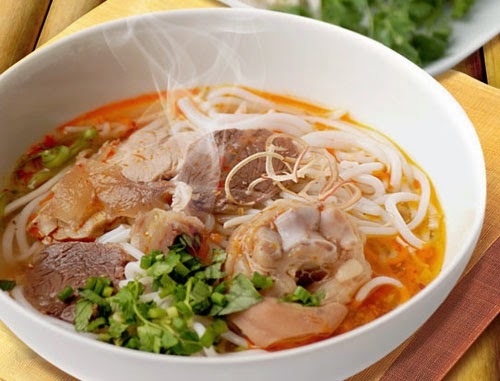 Bun Bo Hue is mildly spicy and the predominant flavor is that of lemon grass. This dish usually includes thin slices of marinated and boiled beef shank and knuckles of pig. It can also include cubes of congealed pig blood. 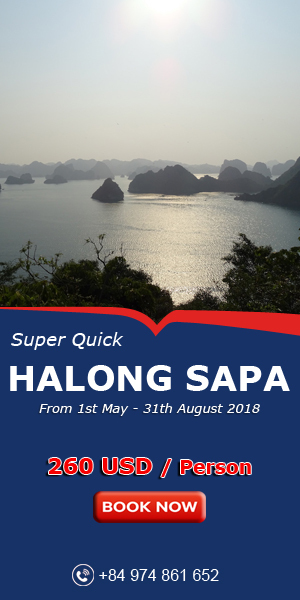 This dish is commonly served with lime wedges, sprigs, diced green onions, raw sliced onions, chili sauce, thinly sliced banana blossom, red cabbage, mint, basil, coriander and bean sprouts. - 6 to 7 lemongrass, pilgrims. - Dissolve 2 spoons of Hue shrimp paste with a cup of cold water, comb through sieve. - Pouring beef’ trotters in the water for deleting all impurities. - Marinate beef shank in Hue shrimp paste water. - Add 2 spoons delicious fish sauce, 1 teaspoon salt small coffee, use chopsticks to mix meat absorbed spices, marinated within 2 hours. - Wash the lemon grasses, use only the column shaft. 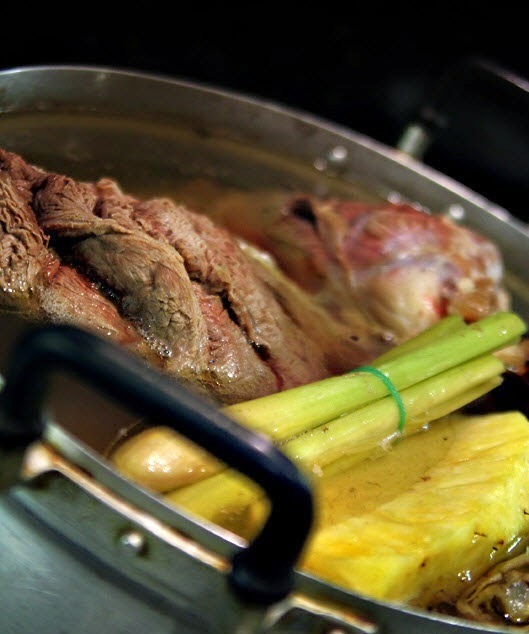 - After marinating meat, take the pot on the stove, pour beef, beef bones to the pot, pour water flooded the meat, boiling, and skim foam in water. - Fry the color beads on, use a small pot, when the oil is hot, take the color beads into pot, and remove seeds, fry the pilgrims until fragrant, mix well and set aside. - When beef shanks are soft, pick them out. After that you flavor with a little salt and sugar in the broth. - Slicing beef into thin pieces, divided them in middle of the bowls. - Now put rice noodles into bowl, add little beef shank slices, little onion, green onion, and pour broth. It‘s more delicious when serve with bean sprouts, coriander. Add a little hot sauce if you can eat spicy food. Bun Bo Hue which is one of popular Vietnamese Food recipes, is diversity of ingredients, so you can change it up to your preference. You can add pork leg tunnel ball, Hue, or overcome beef, beef liver, crab rolls. 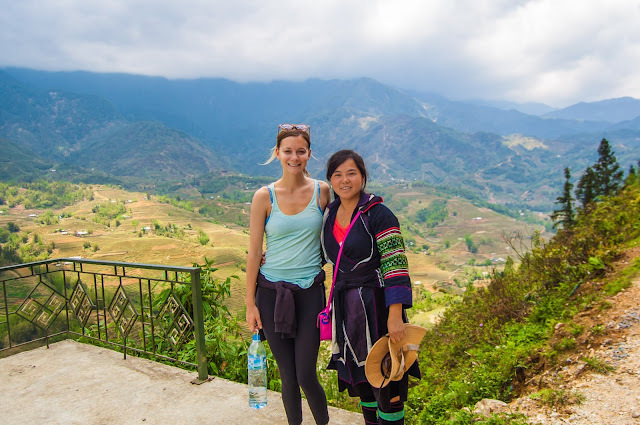 To sum up, in Vietnam, Bun Bo Hue that is one of delicious Vietnamese food recipes, is made by good cook and it is so popular with the foreigners. If you travel to Vietnam, you should eat it at least once; ensure that you will not be disappointed with our cuisine. 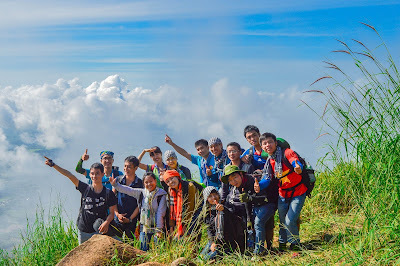 Wish you have an amazing trip in Vietnam with your friends and family.